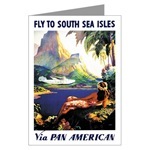 061: 'Fly to South Sea Isles Via Pan American' by Paul George Lawler. 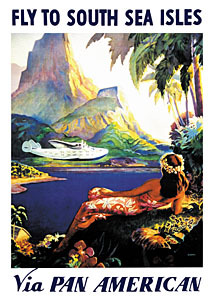 Vintage Hawaiian Airline Poster. 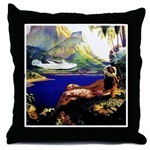 In 1946, Pan American began its first tourist flights from San Francisco to Hawaii via the China Clipper. 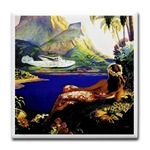 The vintage Hawaiian image on the left is also available in other sizes, in standard or deluxe quality, matted or unmatted, framed or unframed, from our brand new Hawaiian tropical art decor website. 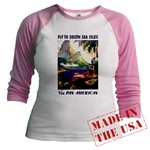 or view standard quality prints on regular paper, canvas, and display options. 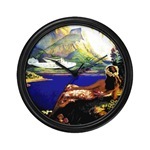 or view deluxe quality prints on highest quality paper, canvas, and display options.